Hi Everyone, Today's topic of discussion is about "Love" and how to have better and lasting relationships. Here to discuss this with me is my special guest Dr. Sue Johnson. Dr. Johnson will also discuss with me about how you repair – improve relationships – about forgiveness after things like affairs – about the new science of love and bonding – about whether we are naturally monogamous. 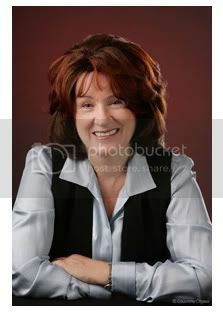 Dr. Sue Johnson is Director of the International Center for Excellence in Emotionally Focused Therapy. Dr Johnson’s best known professional books include, "The Practice of Emotionally Focused Couple Therapy Creating Connection" (2004) and "Emotionally Focused Couple Therapy with Trauma Survivors" (2002). She trains counselors in EFT worldwide and consults to Veterans Affairs, the U.S. and Canadian military and New York City Fire Department. Please visit Dr. Sue Johnson's websites for more information. http://www.holdmetight.com , http://www.iceeft.com Dr. Johnson will offer from her institute ocfi@magma.ca a DVD of three couples using the conversations in the book to change their relationships. Be the first caller that calls into the show to recieve the DVD titled "Hold Me Tight" "Conversations For Connection". I hope you will join us for this really educational and informative show. Dr. Johnson will be taking your calls and my live chat will also be open. Thank you Sonia.